Combining special effects, science, art and storytelling, University of Canterbury geological scientists have developed an exciting hi-tech game to help high school students understand the power of the earth. 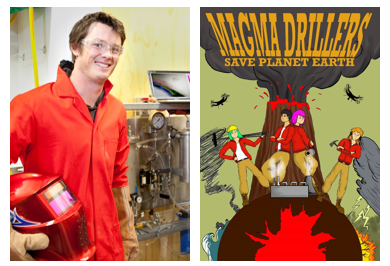 The game, called ‘Magma Drillers Save Planet Earth’, was developed by UC volcanologist Associate Professor Ben Kennedy and geological 3D visualisation expert Dr Jonathan Davidson with help from artists, digital experts and educators. The game integrates storytelling, 3D software, video technology, holograms, comic art and geology to teach secondary school students about the inner workings of volcanoes and the role of geologists and engineers. Students from Te Kura Kaupapa Māori o Te Whānau Tahi in Christchurch were the first to test the game this week. Dr Kennedy says the game enables the students to experience science through educated play and by becoming the stars of the game. “The students ultimately have to work out how to ‘save the planet’ by finding and safely extracting renewable energy from a volcano,” Dr Kennedy says. Dr Kennedy and Dr Davidson came up with the idea for the game while watching the 2005 disaster movie Supervolcano about a massive volcanic eruption, which used 3D imagery to show the geological processes behind the eruption. “We thought it would be really cool to try and replicate the 3D holographic effects in the classroom, especially as a way to inspire younger kids and get them excited about geology and how it makes a difference in the world,” Dr Davidson says. The game sees students work in teams of four to role play as scientists or engineers trying to drill into a magma chamber to extract its power. Each team member is assigned a job (geophysicist, environmental risk manager, volcanologist, or drilling engineer) and watches entertaining videos relating to their role. The team members then share their knowledge, as real scientists and engineers would, to identify such things as the location, depth and budget of the drilling. They input their answers into an online form. At the end of the game, they get to see the consequences of their proposed solution visualised in a 3D hologram. “Its characters are a bit silly and hopefully make the students laugh while they’re learning, but we also hope there’s some excitement,” Dr Kennedy says. The game was created with help from UC educational psychologist Dr Valerie Sotardi of UC’s School of Educational Studies and Leadership, teachers Ian Reeves and Georgina Barrett, artist Elizabeth Mordensky, and UC videographer Rob Stowell. The 3D visualisation used local Christchurch 3D geological software company Leapfrog to create the magma holograms. Are you looking for activities for your children over the school holidays? Encourage your tamariki to get crafty in nature during MHAW and help them experience the joy and wonder of being in nature. 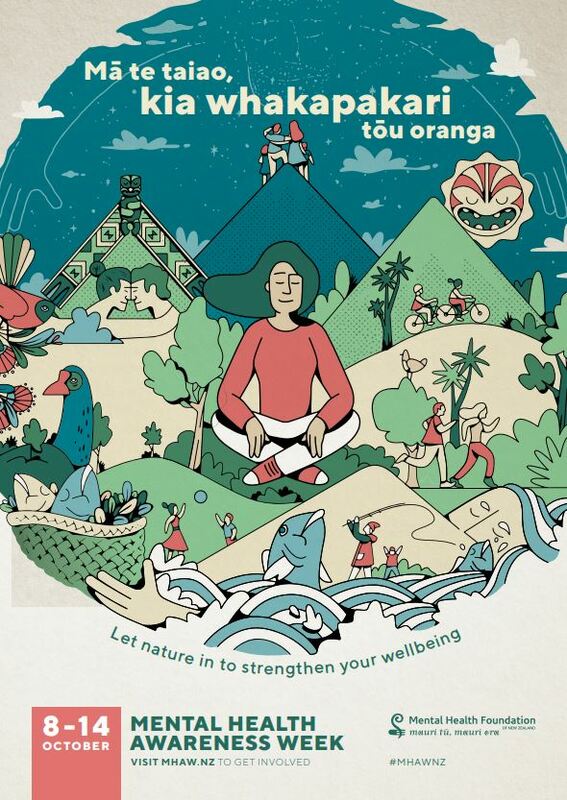 Download and print copies of the Mental Health Awareness Week colouring competition to give your tamariki during term 4 or the school holidays. Head outside into nature and show how you connect with it, what you see, smell and hear. Draw and colour-in what you see. Post your entry so it is received before 5pm Friday, 26 October 2018 to: Mental Health Foundation, PO Box 10051, Dominion Rd, Auckland 1446. Or scan and email entries with the subject line “Colouring Competition Entry”. We would like to welcome our latest visitor to UC, and the Erskine Programme. Professor Douglas Allen from Simon Fraser University, Canada arrived on 16 September and will be teaching in the Department of Economics and Finance. We wish Professor Allen and his family all the best for their stay.